For verification purposes, please attach a photo of your driver’s license. We only accept drivers who are least 21 years old with a full valid driver’s license. If you are not Malaysia resident, please attach a photo of your passport. 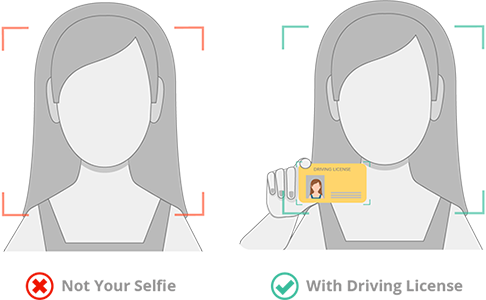 For verification purposes, please take a selfie with your driver's license facing towards the camera. Make sure the camera is focused on the driver's licence and it is clear. We have sent you a PIN code in a text message. Please enter it below . If you didn't receive a code you can request a new one.